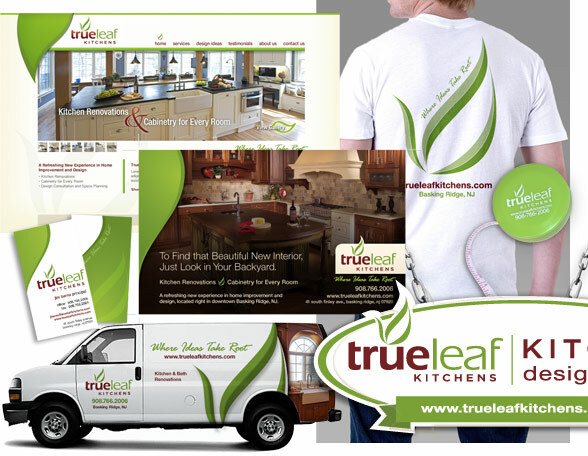 Ridge Marketing has completed an exciting new identity system for TrueLeaf Kitchens, culminating with the launch of the new www.trueleafkitchens.com website. Within days of launching the new brand, we also received the exciting news that our TrueLeaf work was selected as a 2011 American Graphic Design Award winner by GD USA, the go-to news magazine for the design industry. The GD USA annual awards issues serve as inspiration for creative professionals across the country, so it’s an honor to be invited to be included. If your company’s brand needs an award-winning reboot, please contact us at (908) 340-4480 or Email Us and we’d be delighted to sit down with you for a free consultation.